SpecVet has a feature that allows you to add a "sticky note" to a record. This compares to adding a yellow note to the outside of a patient's paper record. This feature is only for the visit and is not visible by any person outside of the hospital staff. It is not a permanent record, it can be deleted or changed at any time. 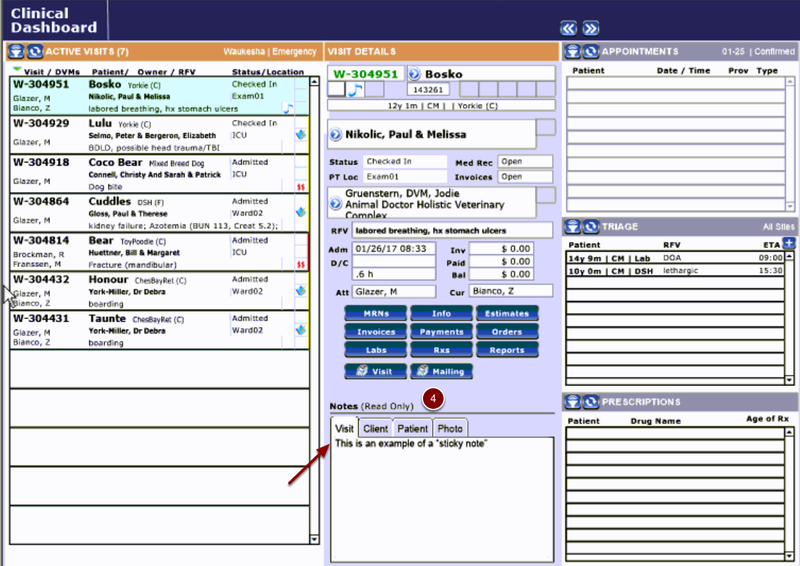 Prev: How Do I Remove a Patient From The Dashboard After Discharge?